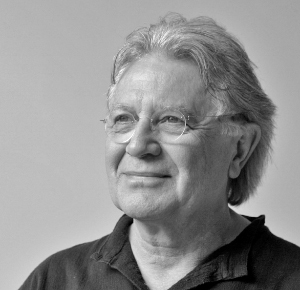 Ian Ritchie is one of the very few architects who manage to combine engineering and architectural innovation, and he has forged an oeuvre which is as consistently interesting as it is constantly surprising. His works include the Spire in Dublin and the superb and hugely popular Royal Shakespeare Company Courtyard Theatre in Stratford upon Avon. He was also instrumental in the design and engineering of the Louvre Sculpture Courts and Pyramid and La Villette Cité des Sciences in Paris and the Reina Sofia Museum of Modern Art in Madrid. He has won numerous awards for his work at the Royal Academy of Music in London. Ritchie has also worked with a host of manufacturers including Pilkington, Corus and Seele. His designs for izé constitute a rigorous and elegantly stripped-down set of elements which are as recognisably a part of the architect’s art as his biggest engineering projects and are executed in stainless steel, the material he has done so much to develop and articulate.